For as far back as I can recall, I have been fascinated by the world of fashion. As a child, I would visit my grandmother, spending hours pouring over her gorgeous jewelry collection. I would study each and every piece, they all had a story to tell. I would hold each treasure, taking in their beauty and sparkle, imagining where each piece had been and what fun times lied ahead in their future. Then, the shoes. My grandmother loved her shoes. I would slip a pair on, take a step back and take in the most beautiful dresses, hung perfectly in her closet. The colors, textures and designs intrigued me. Each one so special and unique. My grandmother had the most incredible personal style. Now, at the age of 91, she still does. My grandmother exuded old Hollywood style. Elizabeth, who goes by the nickname Liz, was as fancy as Liz Taylor. Even in her pink curlers or pin curls, my grandmother was fabulous! To me, great style is not about buying each and every latest trend the magazines tell us we have to have. Anyone with a checkbook can do that. Great style is about adapting trends and making it your own. Personal style says, “Hey world, this is me and like it or not, I love it”. I believe as we age, our own style becomes more defined, as we start to be less concerned about what others think and more about what is right for us, the individual. Fashion is about self-expression, what not have some fun? The fall season is so exciting for me. As a clothing buyer for Nordstrom Inc. I could never get enough of NYC and Fashion Week. A time so full of excitement! What were the designers coming up with now? What big trend was in store for the coming season? I loved getting the inside scoop and figuring out how to adapt the upcoming runway trends to everyday fashion for everyone. No longer a part of that fast paced world, I look forward every year toward the end of August, when the biggest fashion issues of the year start to hit the news stands. 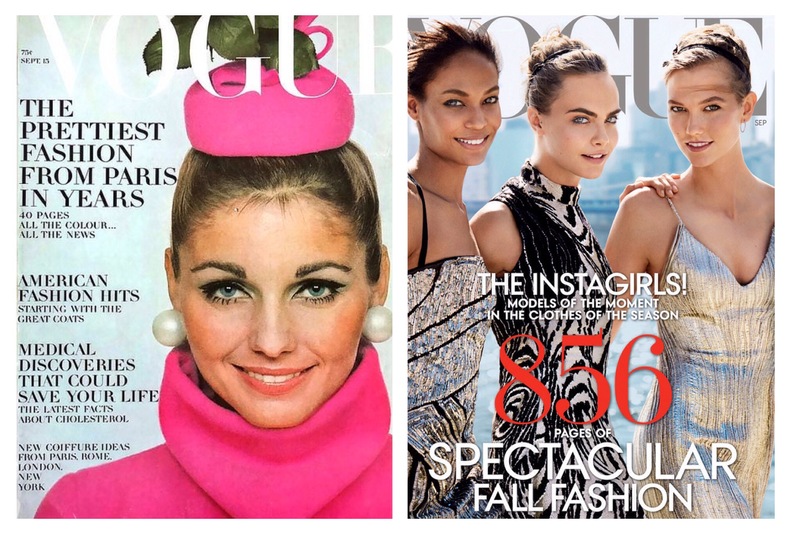 Vogue, Marie Claire, In Style, Elle, just to name a few. Big issues, chock full of gorgeous ads, fashion spreads and editorials, each telling us what is going to be big for the upcoming fall season. For some, this may be sensory overload. For me, I love thumbing though each one, taking my time sticking post-its on what grabs and inspires me. 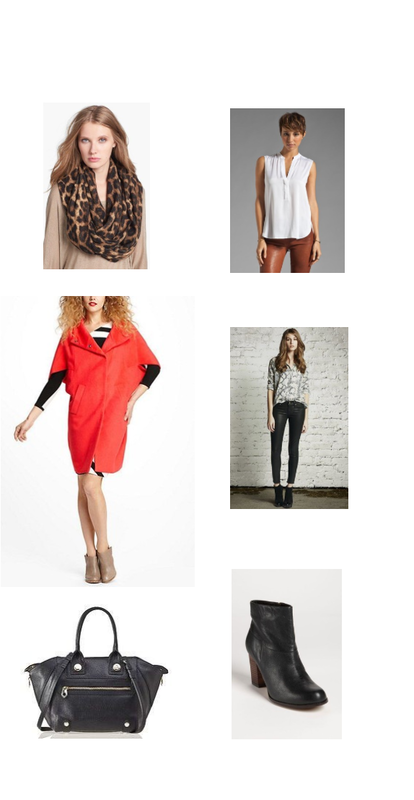 Not looking to what the world of fashion is telling me I need, but, what I need from them. Jewel tones, winter pastels, animal and crazy psychedelic prints. Midi skirts, wide legs and track pants. Chunky sweater dressing and sweater dresses. 60’s and 70’s inspired dressing. Shooties, booties, lace up pumps, over the knee boots and menswear inspired shoes. Wrap, statement, moto and military coats. Oh, and lets not forget dark blue or perhaps gray nails! I look to be inspired and discover what the fashion world is communicating to me with each new season. What trend grabs me? What do I love? What item will perk up my existing wardrobe and make me smile every time I put it on? Last year, it was a pair of black coated Paige jeans, an orYANY black calf hair satchel and a Michael Kors oversized cheetah print infinity scarf. The year prior, a beautiful lipstick red cocoon coat that I can’t wait to pull out of my closet again this year. So, for this year? The fun has just begun. I love to spend September window shopping and seeing what is out there. Making the big decision, do I pull the trigger on a item I have to have because it might sell out? Or, hold off until October, when the stores are in full swing with more options out there? I say, if you LOVE it, get it! I have made the mistake, of holding off on purchasing an item I loved early in the season, to end up finding it is sold out when the weather turns. Cut to, me, obsessing throughout the season on where I can find a replacement that looks like the item I really wanted in the first place. Total waste of time and money. I usually end up owning two or three of something I am just lukewarm on instead of one of the item I fell in love with in the first place. Most places are pretty generous with their return policies as long as you keep the receipt and tags on. So, just go for it! So, do share! What is catching your eye as this new season begins to roll out? Something you are swooning over? Do you buy now or wait it out till the weather turns? I’d love to hear from you! Leave a note and thanks so much for stopping by!